Whether you crossed Northern's commencement stage last year or decades ago, our faculty, staff and administrators remain committed to serving you. How can we help you continue to engage in lifelong learning, reach the next level of your professional career and remain connected to your alma mater? We'd love to hear from you. Send your stories, questions and ideas to caps@nmu.edu. And, drop your former professors a line when you have the time to update them on what's been happening with you; you can quickly find their contact information on the faculty directory page. 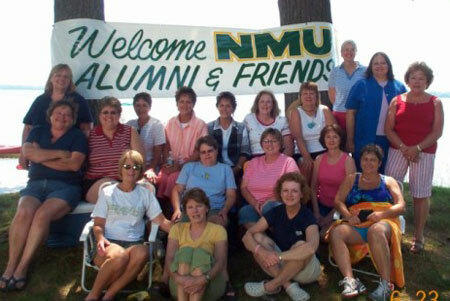 As Northern Michigan University and the Communication and Performance Studies Department strive for continuous improvement, we'd be very interested in knowing what aspects of your NMU education have served you best in your career endeavors and what aspects could have been improved as you entered your professional field.